Continuing his recent spell of good form Brian Currie chased home ex LPS member Lee Caddwallader in the popular Penny Lane 10k. Brian ran 32.36 to Lee’s 32.21 in very warm conditions over what is a fast course. Jill Darby ran 42.05 to finish 12 in the ladies section. The young athletes girls had the short journey across the water for their McDonalds match and finished 6th. This leaves LPS 6th overall. Annouska Lodge under 13 was a winner in both 75meters 10.3 & 150meters 20.2 both of these times are grade 1 performances. In the under 15s Nicola Bear won the 1500 in 5.01.7 and Kera Vogel won the ‘B’ 800 in 2.20.9 a faster time than won the ‘A’ race. It was a re-run of the Penny Lane Lane 10k only this time over 5 miles on a lovely summers evening at Stanley Park, as Lee Cadwallader again got the better of Brian Currie. Brian was always chasing ex LPS man Lee as was the case last Sunday in this now re introduced popular event. Jill Darby picked up the 3rd ladies prize. The B Team continued their recovery after a very shaky first match by coming 3rd at Wigan in the third of their four fixtures. A good home performance in the final fixture at Ormskirk next month, should see them maintain their league status for another season. Captain Paul Rudkin competing after a car accident in the week was 3rd in both hurdles events as well as running around in the steeplechase. Young Anthony Gallagher won the hammer while Dad Jim was second in the B string hammer. Busy afternoon for Luke Sanders who was 2nd in the 1500 and then won the 800 while Alan Stewart was 2nd in the B1500 and 3rd in the 800. In another display of class running Michael Rimmer made his way through all the heats and won the final of the English Schools intermediate boys 800 in 1.55.71. This will be a nice boost who leaves next week for the world junior Olympics. Also making the final at the English school was Phil Taylor who ran 49.92 in his semi but only 50 seconds in the final for 6th place. Nicola Bear ran 2.16.82 in her heat of the junior girls 800 and Nicola Gunderson ran 2.17.70 in her heat of the inter girls 800 Two girls to watch for the future. Alan Woods returned to one of his favourite location, Wavertree Mystery to win the Liverpool Harriers 5k. 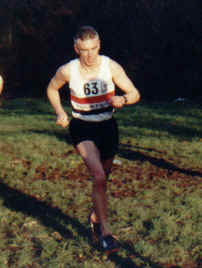 This race was in place of the 5 mile event which Alan won last year. Also making a return to Wavertree was LPS new boy Joey Parkinson. Joey who joined LPS in May, after previously being a member of Liverpool Harriers finished 5th with club captain Jim Eden in 7th place. This race was proof again that there is a drop in numbers at local road races a poor turn out which must leave the organisers wondering if it is worth the effort when you have only 84 finisher. Michael Rimmer still only just 15 made it into the semi finals of the World Youth Olympics at Debrece, Hungary. Michael was second in his opening heat in 1.53.29 and then ran 1.52.38 his semi to come home 6th. competing with lads almost three years older than himself Michael will be pleased with performance. This is a week after he won the English Schools 800 in Exeter! It would seem that Nathan is racing most weekends and enjoying every race he runs. This week he made the journey to Leeds to finish 3rd in the South Leeds Stadium 5 mile road race. Having won last weeks Knowsley Corporate Challenge Nathan took on a quality field over 300 finishers. LPS junior girls ensured another season in the top wins by Kiera Vogel & Maria Barrett3000, and Nicola Gunderson 800 all under 17. Nikki Bear 1500 under 15. Anouska Lodge won the 75 & 150m in the under 13 age group. Over the three matches the girls have performed well, with good performance in all events. Many of the girls in the under 13 & under 15 age groups competing for the first time. Two members made the trip to Llanberis in North Wales for the annual Snowdon Mountain race. The race is ten miles 5 miles up and 5 miles down with a climb of 3365 feet. Richie Webster & Robbie Wood both braved the hot weather to record decent times in this tough challenge. 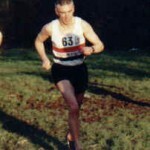 Richie 54 was making his first attempt at the race, while the younger (only a boy) Robbie Wood 44 was making his umpteenth appearance in this popular event. Richie achieved his aim in braking two hours for the run while Robbie got to the to in 61.30 (long gone are the days of getting to the top in under 50mins) he finished in 1.42 .42 his best for the course is 1.14. In those days he was two stone lighter!